What Can Smart Contracts Actually Do? Smart Contracts are said to be Turing complete that can be efficiently programmed to perform & complete any desired function. However, they are most commonly used to move and manage funds, independently and sans any human control. But this indubitably requires proper coding and that’s the only catch to ensure its security. Both Solidity and Ethereum programming are gaining pace but writing a code that shows intended results without any suspected side effects and being secure at the same time is actually very tough. Moreover, you should also know that smart contracts are almost limited in computing and memory power. They are usually slow and the code execution can only be triggered by transactions- this means that there will be a little waiting time before it is actually included in the blockchain. Therefore vital logics should necessarily be coded into a smart contract and tightly put together for a better performance. So let’s discuss a few crucial tips to boost the security of blockchain smart contracts. Everything that is there on Ethereum is public and that not only includes all of your data stored on the contract but your overall coding as well. This is practically something that most of the users do not understand at first that even though you are unable to access some data directly, i.e. from a getter function, the actual storage of the contract is on the blockchain and everyone can openly read it. The confusion usually arises in Solidity where we have a ‘private’ keyword, which does not make the data private to other users but to the other contracts. Well, this clearly signifies that before storing any sensitive data on a contract, we should first encrypt the same. Proper access management is vital for boosting the security of smart contracts. Simply put, functions can be private or public where the private functions are called only from the inside of contract and public ones are callable from the outside world. Make sure which functions in a smart contract should be made public since they can widely be executed by anyone. Just for an instance, there have been a number of major contracts that eventually got hacked due to obvious oversights. Besides, user roles should be set up wisely & carefully so that specific functions can only be accessed and executed by the users you approve. Every data that is put on Ethereum is deterministic and a certain list of code executions could ultimately be recreated each time and have an exact same result. Since this is already an attribute of the Ethereum network, it clearly symbolizes that getting any random number is not easy as the blockchain has no random factors. The contracts, on the other hand, precisely use the block-hash as the random factor but that can somehow be manipulated by the miners. The only secure way to get a random number for your smart contract is through Oracilize services. 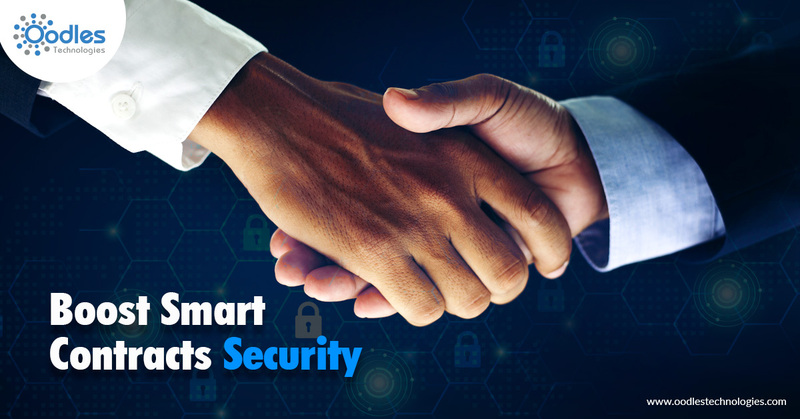 In the end, if you simply follow the latest and aforementioned security advice, build clean code and have it properly audited, then you are doubtlessly on the right path of building secure smart contracts. Nevertheless, if you still need to steer your thoughts, let us know. We can profoundly help you in multiple ways.